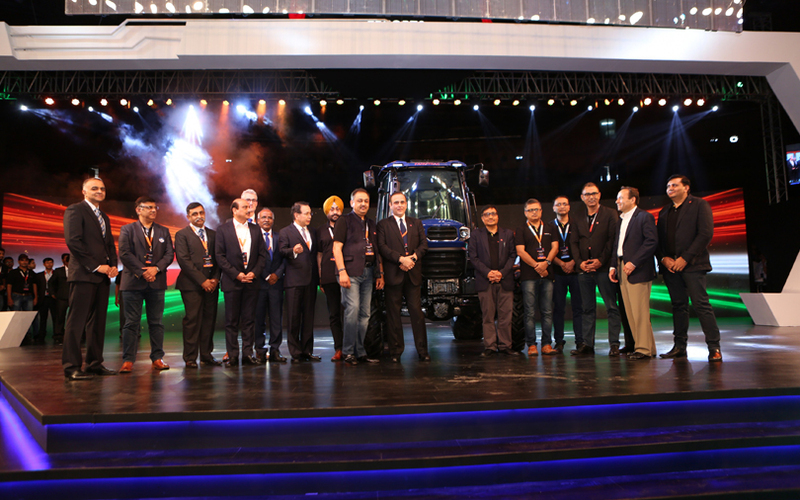 Agriculture and construction equipment maker Escorts has come out with a working model of an autonomous tractor in partnership with Microsoft, Bosch, AVL, Wabco, Reliance Jio and others. "The autonomous tractor will help the farmer practise precision farming in order to reduce losses and increase yield per hectare," said Shenu Agarwal, chief executive of Escorts' agri machinery business. Agarwal said that the "smart tractor" can be used for purposes such as seeding, tilling and also be used with implements such as sprayers. "What you have to understand is the fact that farming needs a certain level of precision. One of them is driving the tractor in a straight line while tilling the land. The smart tractor rules out any human error in the tilling process. The built-in technology can figure out the exact areas to be tilled and the exact places where seeds are to be planted," Agarwal said, adding that only 19% of farmers have tractors while 58% of the population depends on agriculture for a living. However, the top executive said that the tractor will not be in the market soon and can take up to two years to be commercially available. But he also gave a sneak peak into how the tractor will work. "While people will be able to buy it, we are also thinking of a renting model. When a farmer buys or asks for the tractor, what will happen before we send the tractor to the farm, is that a couple of guys will bring soil samples back to the lab to know the moisture content and nitrogen content. Once we have those results and the geo-coordinates of the farm, the tractor can be used in an autonomous fashion, with a lot of data feedback as well for the farmer," he explained. The CEO further said that his company partnered with firms for the tech. "Escorts has collaborated with AVL for electric driveline technology; with Trimble for sensors, controls, water-level management system and automated e-steering; with Samvardhana Motherson Group for smart interface cabins and care plus -- a two-way voice interface for real-time service; and with Wabco for vehicle controls and automation technology," he said. Escorts partnered with Microsoft for its cloud and artificial-intelligence technology to help farmers make informed decisions; with Bosch for future emission readiness; and with Reliance Jio for a networked platform to provide service and spare parts across the country. In addition, the company said it will offer equipment for paddy farming on a pay-for-use basis. The company has also launched an app called Traxi, where owners can give tractors on rent. Agarwal said the company was launching a platform called Digi Trac to help farmers with agricultural inputs and customised agri-information; and another platform called Farm Power to provide advanced implements and equipment.